This little pumpkin cake idea isn’t mine, though the recipe is. I was standing in line at the craft store with all the little holiday pastry boxes, bags and decor I would need for the fall season selling at our farmers market when I saw the cover of Good Housekeeping’s October magazine. I had one of those why didn’t I think of that? moments and decided that I was definitely going to use the mini bundt pans my mother loaned me to make them. Yup. That’s what she was calling to tell me. We laughed about it and discussed what I was going to do to decorate them. Then before we ended our call she told me it was getting cold so I needed to get my long johns out. I laughed harder because I was wearing them. She hung up, saying she guessed I didn’t need her to tell me anything else since I’d already done everything. I’m such a good girl. I don’t just do what my mother tells me to do, I do it before she tells me to do it. I don’t remember it being so easy for her when I was a kid, though. 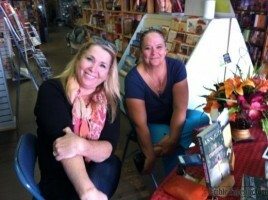 The finished cakes were adorable, perfect for the start of fall, and made cute little gifts for two great authors I was stopping by to chat with at their book signings at Books Unlimited in Franklin, NC. Author Ann Hite, who adds to her Black Mountain novel publications every year, and whose signings and readings I try to catch any time she has an event nearby, is the sweetest of souls who buries herself in her family’s history to find inspiration for her her Southern Gothic fiction novels. Her first, Ghost On Black Mountain, won Georgia Author of the Year in 2012. The Storycatcher and Lowcountry Spirit followed up that eerie tale. Author and former investigative journalist who has just published her first work of fiction, Mother of Rain, Karen Spears Zacharias broke my heart at the reading of her non-fiction account of the tragic death of little Karly Sheehan at the hands of her mother’s boyfriend two summers ago, A Silence of Mockingbirds: The Memoir of a Murder, so I was very interested to read her new novel. My only problem with my little creations, however, was that the cake was a little dry. I despise a dry cake. To remedy this I soaked some of them in simple syrup. That did the trick, so next time it will be simple syrup all around. 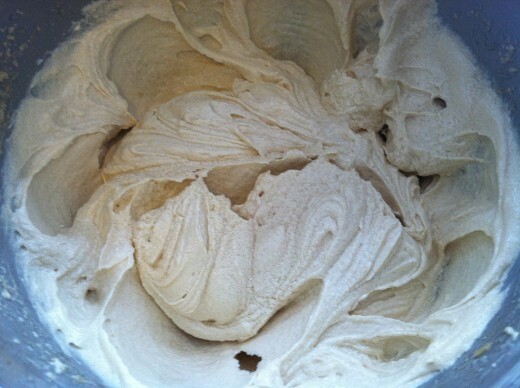 To make the stems, leaves, and tendrils, I mixed up a batch of buttercream fondant. I’ll never forget the first time I used store-bought fondant. I worked so hard making my son’s birthday cake and covered the entire thing in fondant. Then, at his party, I took one bite and impolitely said with my mouth still full of gunk, “I don’t think I like fondant.” It’s so versatile and fun to work with that I was determined to find a homemade recipe. I used one that called for shortening for a couple of my sons’ cakes but since I usually avoid hydrogenated oils for their toxic effects on health, and always had to fight with the recipe, adding cup after cup of confectioner’s sugar to just get it to roll out, I came up with my own. It is now my favorite and I’ll never use anything else. 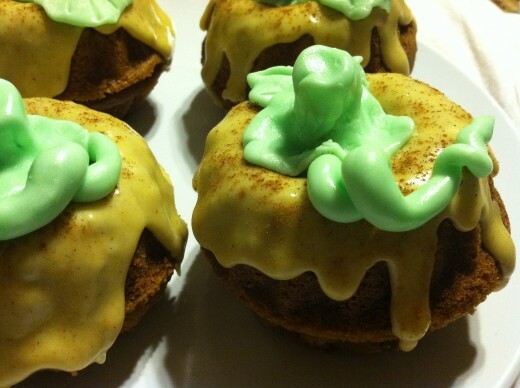 The decorations for these little cakes were really easy to form. Just like playing with Play-Doh! I used my pumpkin butter for the filling and in the glaze. You could substitute apple butter if you like, and even applesauce in the cake batter. Heat oven to 350. 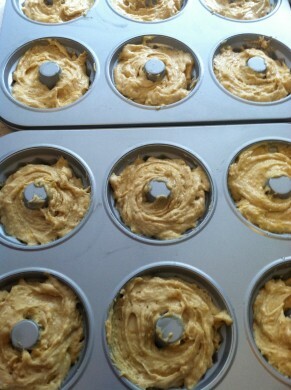 Grease and flour 2, 6-cake, mini bundt pans. 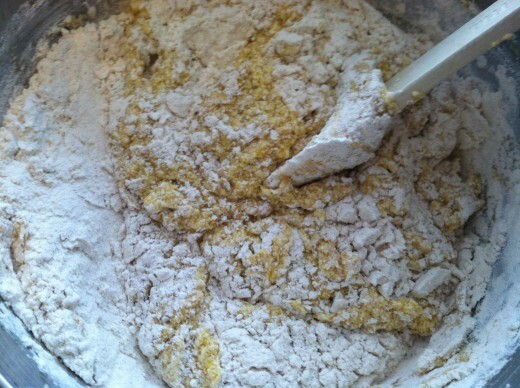 Sift together the dry ingredients for the cake. 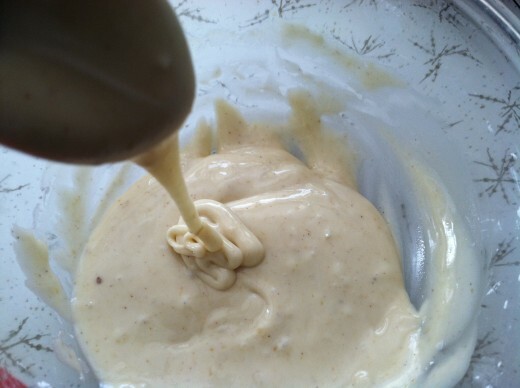 Using a mixer, in a large bowl cream the sugars, oil, and butter. Beat in the eggs. 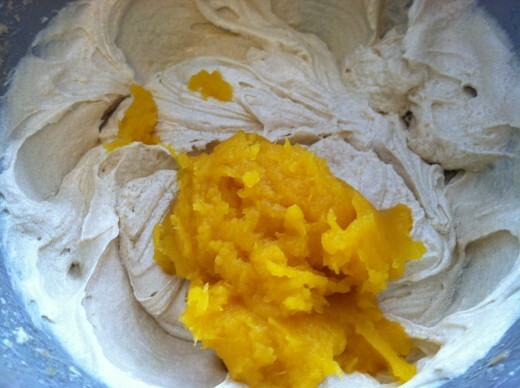 Stir in the extracts and pumpkin puree. 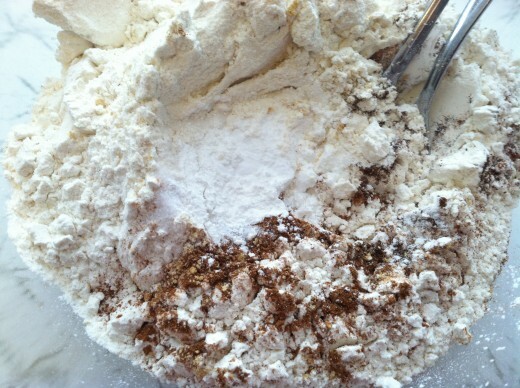 Fold together the wet and dry ingredients. Spoon into the mini bundt molds. 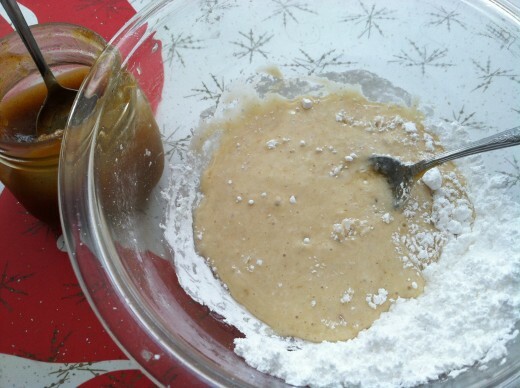 Bake 25 to 30 minutes, until a toothpick inserted into the cakes comes out clean. Cool 10 minutes in the pans. 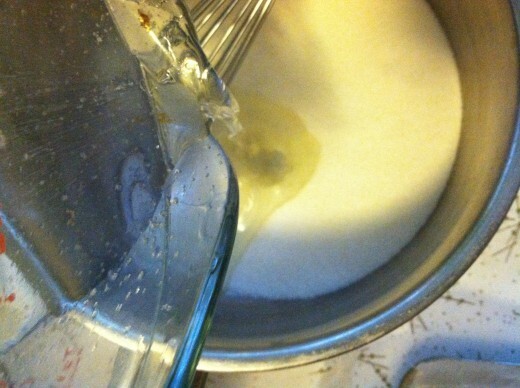 Make simple syrup by combining sugar and water. I didn’t measure because I made it as an afterthought and only for a few sample cakes, but 1 part water to 2 parts sugar is what I usually do. Cook 5 minutes, or until all the sugar is dissolved. Trim the round bottoms off the cooled cakes to the point where the fluted design begins so that when you stack them together they look like whole mini pumpkins. Place the fluted portion on a wire rack over a sheet pan, cut side up, and drizzle a little syrup on each. Not so much that they are soggy and can’t be handled, just a tablespoonful or so on each one to moisten. Allow it to soak in. 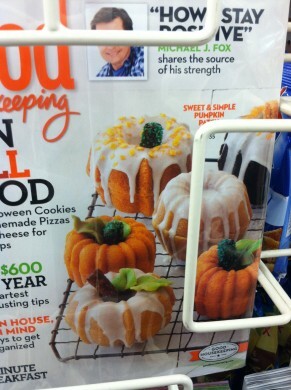 Spread pumpkin butter on half of the bundt cakes and sandwich them together with the other halves. Make the pumpkin glaze by mixing together the pumpkin butter, vanilla, and confectioner’s sugar, adding water as needed to make a smooth, thick glaze. Add more or less water to vary the thickness. Immediately dust the glaze lightly with cinnamon. Allow the glaze to dry to the touch while you make your fondant decorations. 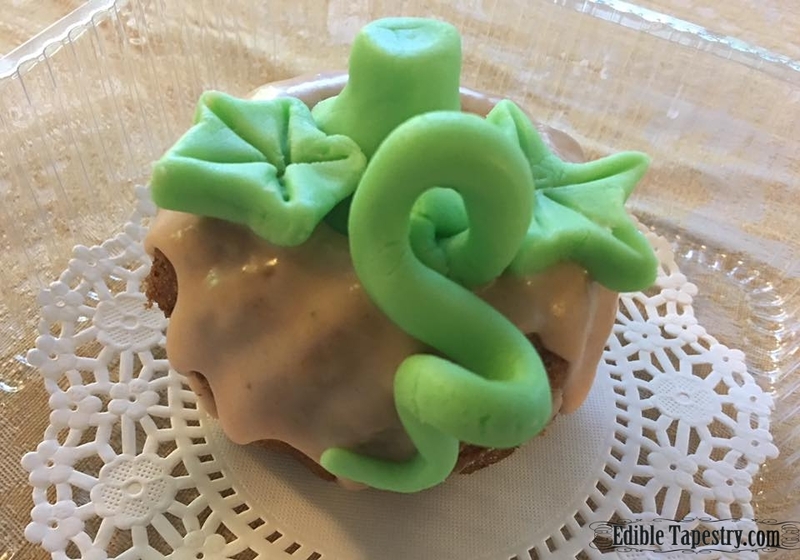 Roll a little fondant for each pumpkin into leaves and stems with tendrils or vines. I made the base of each stem very wide to cover the bundt cake hole and rest on the edges. I sandwiched all the bases that I’d trimmed with pumpkin butter and soaked them in simple syrup, as well. I actually saturated them pretty good. They were heavenly. Update: Ann Hite’s latest Black Mountain novel, Where the Souls Go, will be released on September 1, 2015. It is available through Amazon for pre-order. Update: October 12, 2018. I now use my carrot cake recipe (a tweaked version of Journey of Joy’s Carrot Cake recipe), with pumpkin substituted for the carrots, in this recipe. The little cakes are so moist that I omit the simple syrup step and just double the glaze recipe. A friend’s husband calls them “pumpkin donuts”, they are so moist. 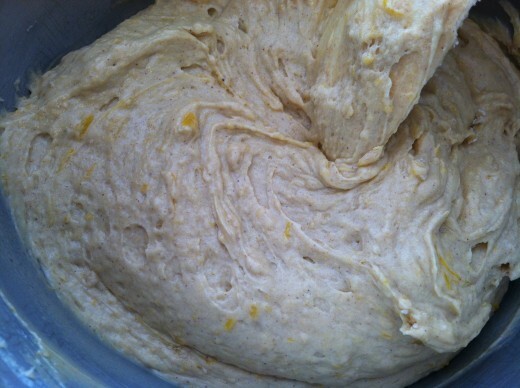 The carrot cake version makes 8 cakes, rather than the 6 of the original recipe. I also slice the cakes in half above the pan edge to make little cakes that fit together seamlessly, which helps them more resemble pumpkins. The updated version is shown in the first photo of this post.